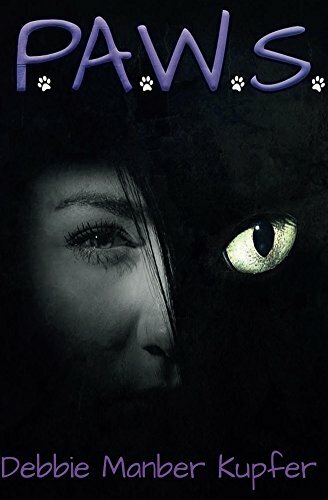 Today on Paws4Thought we welcome fantasy author, Rebecca Jaycox. Rebecca just released her debut novel, The Other Inheritance, with Rocking Horse Publishing. Tell us a little bit about yourself, Rebecca. I grew up in a small town—Berryman—in Missouri, but I now live in New York City. Before moving to New York, I lived in France for a year where I taught English at a French high school. I officially have wanderlust and travel as often as I can, visiting places like France, Turkey, Greece, and Italy. Traveling has given me greater perspective on different kinds of people and culture and has also inspired my writing. If I won the lottery tomorrow, all I would do is travel, write, and eat fabulous food. I work at the 92nd Street Y, which is one of New York’s premier cultural institutions. I’m the creator and curator of the YA Lit program. Over the past two years, I’ve gotten to meet Veronica Roth, James Dashner (total sweetie! ), Susan Ee, Melissa de la Cruz, Chuck Wendig, Maggie Stiefvater, Cassandra Clare and many more! It’s a fun job. I started writing at a young age; I want to say around 10 years old. My grandmother had all these ancient typewriters that I used to bang out stories on. As an only child growing up in a rural community, I used my imagination as a way to escape into faraway lands. The Mark Twain National Forest was my backyard; a place where green acorns become emeralds and my cats were generals fighting against dragons. I have a long list, and some authors I find belong more in the inspirational category than favorite: Ilona Andrews (writes one of the best UF series ever), Colleen McCullough (Yes, I loved the Thorn Birds! ), J.K. Rowling, Patricia Briggs, Maggie Stiefvater (she’s brilliant), Anne Bishop, Laini Taylor, Neil Gaiman(writing god), Robin McKinley, Susan Ee, Kate Elliot, George RR Martin (that man plays a long game), Meljean Brooks (her steampunk world building is insane!) and Jacqueline Carey. I know I’m missing people! Traveling inspires me to write, of course, providing me with great world building ideas, but I also get inspired just by observing the conversations that are happening around me. My NYC subway rides in the morning have given me great character ideas. Tell us a little bit about The Other Inheritance. The Other Inheritance is about Reggie, a seventeen-year-old girl who discovers quite shockingly that she can bring dead things back to life. She has a rough home life; her mother is an alcoholic and her father disappeared when she was young. He took a hike in the woods and never came back. Reggie discovers that her father was from an alternative reality known as the Other and that she’s inherited his magical powers. The bad guy who killed her father is after her, and she has to travel to the Other to find one of her father’s friends who has promised to protect her. Mayhem, danger, romance, and betrayal ensue. What attracts you to writing YA? The YA genre has become a wonderful creative playground. Some of the best fantasy is being written in YA. Being a teenager on the cusp of adulthood and trying to find yourself is a universal human experience we can all relate to. Well, most of us are trying to find ourselves well into our twenties, but I digress. At 17, you really are starting to make independent choices about your future, and that makes a fertile writing ground. I’m currently imagining and outlining the sequel to The Other Inheritance. I’ve written a bit on an adult UF that features a dragon that I’m having a lot of fun with (a certain Russian witch will make an appearance), and I’ve also written a few chapters of a YA/NA steampunk novel. Watch the Walking Dead! Weird way to relax, but I like it. I also read all of the time! The more I read, the better I write. And I love reading. I’m a gym addict. My life is so stressful that going to the gym keeps me sane. If you could have any superpower what would choose? The ability to control time like Hermione had with the Time-Turner. I would be able to write as much as I wanted and have a full-time job without the stress! Readers can connect with me through my author page on Facebook: https://www.facebook.com/RebeccaLJaycox. They can also follow me on Twitter, my handle is @rebeccajaycox, and my website is www.rebeccajaycox.com.